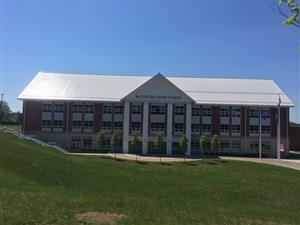 Waterford High School is a progressive, contemporary, public high school that offers each of its students a safe and rigorous secondary experience. Core and elective courses provide a full complement of academic experiences. Exceptional fine arts, music, and athletic programs are available to all of our students. Waterford High School prides itself in being a nationally recognized service learning school and a New England Association of Schools and Colleges accredited institution. 1. Communicate in Standard English for a variety of purposes. 2. Read a variety of materials for the understanding, evaluation, and synthesis of information. 3. Apply mathematical principles to organize data, draw accurate conclusions, and solve and justify problems. 4. Acquire and evaluate information in order to interpret events, issues and/or ideas, and to make informed judgments and responses. 5. Apply the principles and processes of the sciences to analyze phenomena and solve problems related to the natural world. 6. Utilize technology to obtain, organize and communicate information and to solve problems. 7. Demonstrate behavior that adheres to reasonable and appropriate standards of conduct. 8. Practice behavior that reflects integrity and fairness. 9. Respect individual, cultural, and racial persity. 10. Engage actively in cooperative work to accomplish a specific task. 11. Participate in activities that foster citizenship, the democratic process and community awareness. 12. Complete eighty hours (or a pro-rated equivalent) of community service/service learning.